If some is good, more is better. Right? While that’s true about your bank balance, it’s definitely not true when it comes to lighting. Achieving the right amount of light in a space is a delicate balance involving divergent factors including OSHA standards, the purpose of the space, how much natural light the space receives and personal preferences. And the right amount of light needed may change throughout the day. Hitting the center of the target while delivering the perfect amount of light is a challenge and a common mistake is over-illuminating spaces. Why is over-lighting a problem? Purchasing unnecessary luminaires balloons upfront costs. Maintaining extra lights adds to labor and facility management budgets. Over-lighting wastes electricity, adding to energy costs. 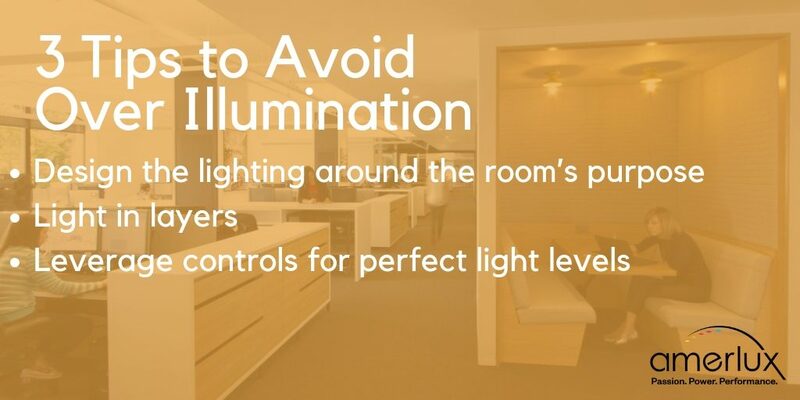 Too much light can cause health issues, including headaches, eye strain, stress and disrupted sleep patterns. Drowsy workers with headaches are a lot less productivethan fully-healthy employees and lost productivity is a substantial cost for organizations. Too much light reduces light quality and invites glare issues. Outdated designs and standards—older buildings often feature lighting schemes with far more light than is currently needed. For example, working on a computer typically requires less light than writing with a pen and paper. Transitions to LEDs that don’t account for the properties of LEDs compared to legacy lights. LEDs are extremely bright, and they deliver more lumens per watt than older light sources. Not taking these differences into account during a retrofit project will guarantee over-lighting a space. Not designing the room’s lighting around its intended use. What will you do in this room? How will you configure the furniture? How do you want to feel in this room? Ask clients these questions and then design the lighting around their answers. Different purposes require different lighting strategies and you can deliver the best outcomes when you start with function and build the lighting around it. Adding dimmers to each of the lights will ensure the room’s lighting will always match its function, especially in multipurpose spaces that have a variety of uses. For spaces that need to be flexible for a variety of uses, indirect light is an excellent way to light for the most possible functions. Indirect light is soft and comfortable for human eyes and doesn’t put glare on screens like downlights often do. Once you have zeroed in on the purpose of the room, the next step is to determine what kind of task lighting you need to best support the room’s function. 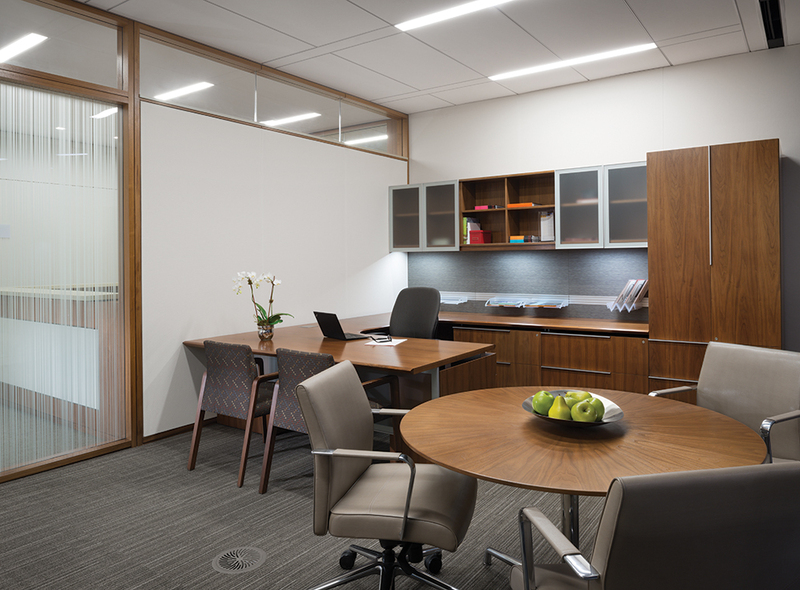 Task lighting can range from the specialty lamps over a dentist chair, to under shelf/cabinet lighting, adjustable desk lamps, as well as certain ceiling-mounted downlights. 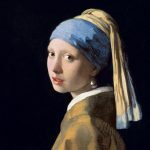 Whatever the light used, it should be adjustable by individual users and provide adequate light to accomplish the task and proper contrast levels. Next, add the ambient lighting. These lights provide general illumination and lights up the architecture. Indirect light fixtures are an ideal choice for ambient lighting—they put a soft wash of light on the walls and ceiling, so the room doesn’t look like a cave. The third layer, if necessary, is decorative and accent lighting to accentuate architectural features and add a touch of pizzazz to the room. Lighting in layers is the architectural equivalent of dressing in layers for cold weather: If all you have is a big coat, then you can’t do much to modulate the temperature if you feel too warm, but with layers, you can add and remove layers as necessary. Likewise with lighting, if you only have a big light source in the ceiling, you can’t adjust much, but with several lights, you can adjust individual task lights and the ambient light levels as needed. OSHA recognizes the value of lighting in layers for offices. OSHA standards call for 30 footcandles in general, but for computer workstations, they provide for an acceptable range of 20 – 50 footcandles. If you target 20 footcandles with the average ambient light, task lighting can provide the additional light people may need. Things in nature have a rhythm—cool mornings and warm afternoons, day and night, sleeping and waking. Light for humans is no different. We have our own internal rhythm—called the circadian rhythm and it dictates our waking and sleeping cycle. We need different kinds of light during the day to optimize that cycle. For example, brighter and cooler lights stimulate alertness, which is good for mornings. That same bright light would be too bright in the evening when our bodies are starting to wind down for the day. Dimmer and warmer lights are better in the latter part of the day. LEDs are the idea lights for this kind of human-centric lighting because they can be connected with controls that automatically brighten or dim the lights to the optimal level. Not only that, but LEDs can also change their color, between bluer (cool) light and redder (warm) light. Additionally, controls allow LEDs to pair perfectly with natural light (a process called daylighting). Daylighting reduces over-lighting a space by automatically dimming the artificial lights when the sun is bright and vice versa. 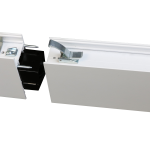 Controls are the perfect addition to an LED light system for optimal energy efficiency, employee productivity and wellness.